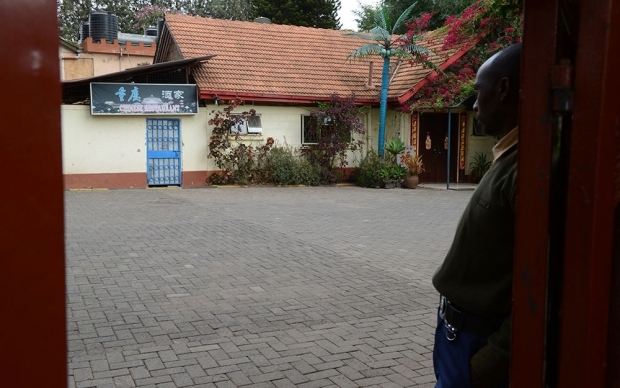 A guard at the entrance of a Chinese restaurant in Nairobi, Kenya, that was shut down and its owners summoned by authorities after furious residents took to social media to denounce a racist policy of not allowing African patrons to eat there after 5pm. The Chinese restaurant in Nairobi that barred Africans after 5pm sparked a frenzied week of news coverage on both local and international media and, of course, on Twitter. The actions of this small, inconsequential restaurant seemingly took on much broader significance based on the tone and sheer quantity of the news coverage. The story of an arrogant, racist Chinese immigrant fit perfectly within a negative caricature that has been simmering across many parts of Africa as the breadth and depth of China’s engagement on the continent continues to expand. Nonetheless, amid the media outcry, few, if any Chinese voices were featured to provide critical context and understanding to what is a far more complicated story than what has been portrayed both in the traditional media’s coverage and on social media. This week, Cobus speaks with Huang Hongxiang, founder of the Nairobi-based community group China House Kenya, about the ongoing scandal and what may have prompted the restaurant owner to enact his “No Africans After 5pm” policy and why it may have less to do with race than most people think.